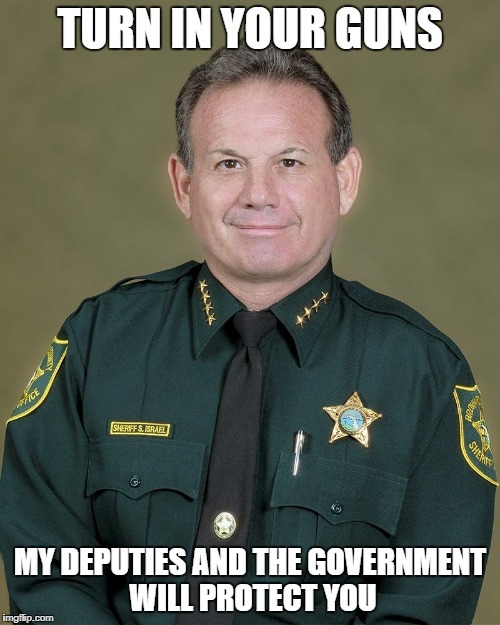 Sheriff, Scott Israel & his Deputy that stood outside the Florida school while kids were being murdered will protect you. .
Good one. Very well said!